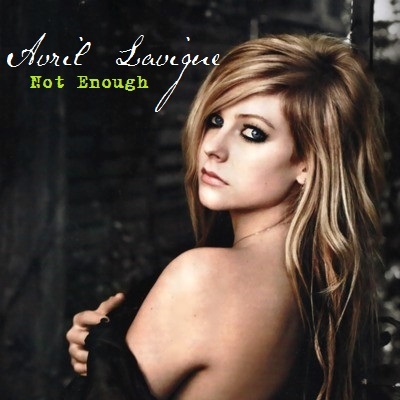 Avril Lavigne - Not Enough. FanMade سے طرف کی me. Wallpaper and background images in the Avril Lavigne club tagged: avril lavigne not enough cover. This Avril Lavigne fan art contains پورٹریٹ, آرچر, closeup, تصویر, ہیڈشوٹ, جلد, skintone, عریاں رنگ, جزوی ننگا پن تقاضا عریانیت, سکانٹنا, عریاں بدن رنگین, جزوی, and مضمر عریانیت. There might also be توجہ, اپیل, hotness آپ, and جوش.